In the Fall of 2009, I knew something was wrong when I started experiencing a buildup of mucus in my throat causing a constant clearing and coughing. The colour was always clear so, since both my family doctor and I felt it was post nasal drip, I was prescribed nasal sprays. The symptoms continued and in early 2010, I was sent for a chest X-ray that revealed something wrong. I was referred to a respirologist and put on a high dose steroid, and a bronchodilator inhaler. Several tests followed and finally in December 2010, based on a lung biopsy, I was diagnosed with IPF that had already reduced my lung function by 40%. I knew nothing about the disease but quickly found out how debilitating and devastating it is. In early 2011 I was sent to see a respirologist who specialized in IPF. By this time I started to notice the effects of the disease and how difficult very simple tasks such as brushing my teeth, taking a shower, putting on clothes, chronic coughing with clear mucus, walking, and climbing stairs or inclines had become. I was prescribed 4L of oxygen but quickly found out that I needed as much as 15L to manage any sort of activity. I remember looking at people walking by going about their business and wishing I was able to do that again. Pulmonary function tests or PFTs and walking tests showed a rapid deterioration of lung function and the ability to breathe became increasingly difficult. I was referred to Toronto General Hospital (TGH) in summer of 2011 for lung transplant assessment as the medications were not helping to slow down the progression of the disease. By late September 2011, I was listed for a lung transplant. I required a wheel chair for mobility and participated in physio classes three times a week at TGH. I was very fortunate to receive a lifesaving single lung transplant on December 11th, 2011– a day I’ll never forget. There isn’t a day that goes by where I don’t think about and give thanks to my donor and their family for giving me a second chance at life. 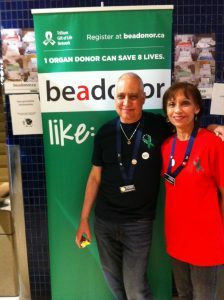 As a result of my adversity, my wife and I joined the Toronto Lung Transplant Civitan Club to give back to the world class program at TGH and provide support for others who are going through the same ordeal as we did. 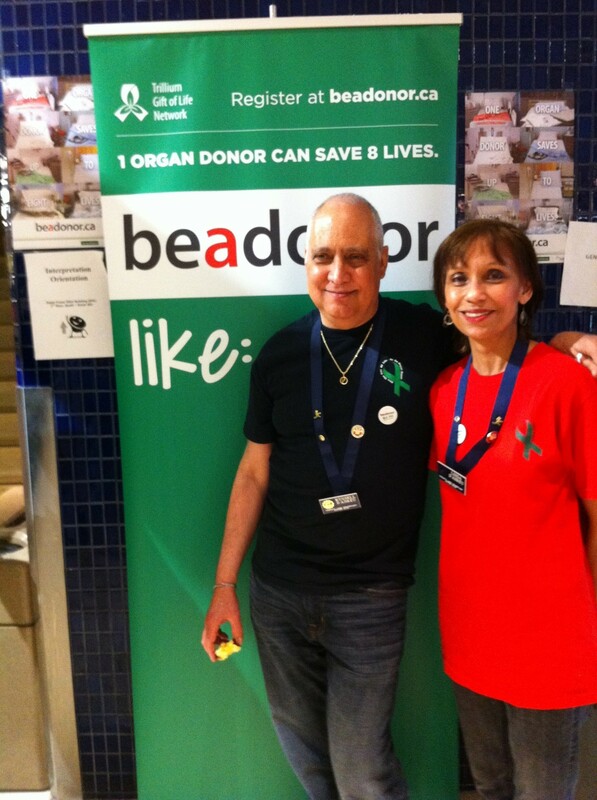 We also promote the Trillium Gift of Life Network Organ and Tissue Donation awareness program. I know that since my transplant there has been great strides with new drugs to slow down the progression of IPF and research continues to find a cure. I only hope and pray that this will be made possible soon so the need for transplantation will lessen. In the meantime, the anti-rejection drugs are a small price to pay for this precious gift of life. It’s been five and a half years and thankfully my health continues to be stable. I am always available and willing to speak with others who might be going through similar situations. If you are interested in reaching me, I can be contacted through the CPFF; just send an email to admin@cpff.ca and refer to my name in the subject line. You don’t have to go through this alone.